What Does "Soil Aeration" Mean? What Does “Soil Aeration” Mean? Special equipment gets used to create little air pockets (macropores) in your soil. This greatly improves your trees ability to grow. Your trees’ roots require oxygen to grow, arguably just as much as water for some species. When soil becomes compacted, they can’t get this oxygen and don’t stay healthy. Soil aeration remedies this, giving the roots access to this precious nutrient. 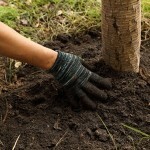 If you think you might need soil aeration to help your trees grow, Integrity Tree Care can help you out. We also offer a host of other services. To find out more, please don’t hesitate to give us a call. You can reach us at (817) 714-1777 or (214) 971-1618.